Fine Art Shippers offers an extensive range of antique furniture shipping options, serving the art community in the New York metropolitan area and beyond. Our specialization includes antique furniture, musical instruments, lighting, and a whole range of interior design pieces. In fact, we can ship antiques of any kind, which allows us to work with the leading auction houses, galleries, dealers, decorators, and designers. Moreover, all our antique furniture shipping services are very competitively priced, making them a preferred option for many collectors and individuals from around the United States. For example, not so long ago, one of our clients hired Fine Art Shippers to pick up several antique pieces from Hutter Auction Galleries, another great auction house we are happy to work with! 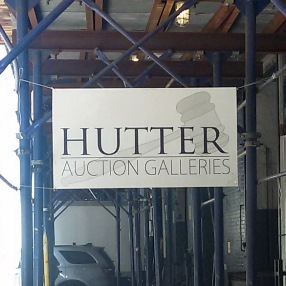 Located at 631 West 27th Street, NYC, Hutter Auction Galleries is a reputable auction house with a well-established international buying clientele. It was founded by Adam Hutter, one of the most respected auctioneers in the Tri-State Area, who has more than 25 years of experience in the auction and appraisal business. Specializing in fine and decorative antiques, silver, jewelry, rugs, and mid-century design pieces, Hutter Auction Galleries holds high-quality monthly auctions, giving everyone an excellent opportunity to purchase something special without spending a fortune. At Fine Art Shippers, we highly recommend Hutter Auction Galleries, and we are always ready to pick up any items from this auction house, providing its clients with the best antique furniture shipping experience ever!